Harlequin Productions’ board president says the group is investigating the theater’s response to women’s claims of harassment against Israel Horovitz, who visited the theater several times. He won’t be invited back, the theater’s artistic directors say. The board of directors for Harlequin Productions, an Olympia theater group, has launched an investigation into its artistic directors after two actresses accused them of ignoring or brushing aside sexual-harassment complaints against award-winning playwright Israel Horovitz. In a Seattle Times story published last Friday, two women described being harassed by Horovitz while he assisted with the productions or attended opening nights when his plays were staged at the Olympia theater. The former employees of the theater company claim Harlequin Production’s artistic directors didn’t take any action because they were star-struck by Horovitz. The board of directors governs Harlequin Productions, a nonprofit, professional theater with an operating budget of about $1 million. Scot Whitney and his wife, Linda, started Harlequin Productions in 1991 and are the artistic directors. The Whitneys announced over the weekend that Horovitz will not be invited back to the Olympia theater. 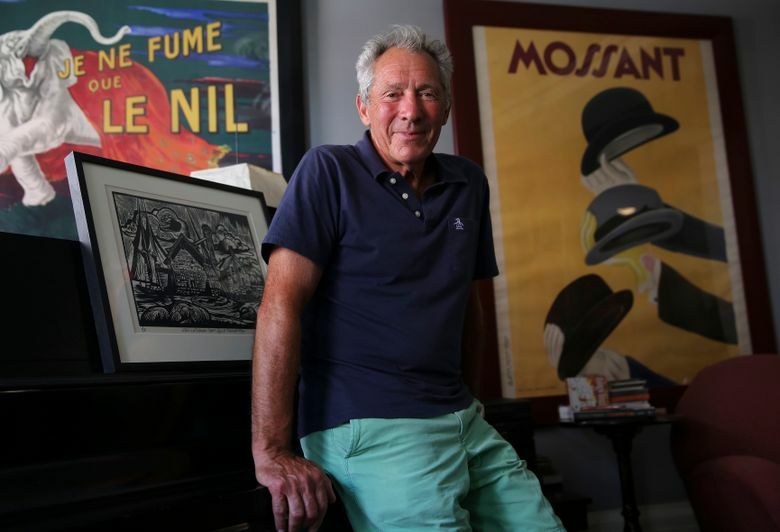 Horovitz, the founding artistic director of Gloucester Stage Company in Massachusetts, has written more than 70 plays, including “Park Your Car in Harvard Yard,” performed on Broadway in 1991. He has also written several screenplays, including “Author! Author!” which was made into a 1982 film starring Al Pacino, and “My Old Lady,” a 2014 movie he also directed that starred Kevin Kline and Maggie Smith. The 78-year-old recently resigned from the Gloucester theater after The New York Times reported in November that nine women, including actors and others associated with the theater, said they were sexually harassed or abused by the playwright over the past three decades. Similar allegations were the focus of a 1993 story in The (Boston) Phoenix in which 10 women said they had been sexually abused or harassed by Horovitz, seven of them at the Gloucester Stage Company. In 2011, as Harlequin Productions was staging Horovitz’s “Unexpected Tenderness,” actress Kate Parker said the playwright insisted on seeing her hotel room. She said that once she reluctantly let Horovitz inside, he lunged at her, grabbed her waist and tried to kiss her. Another actress said that after she refused to go for drinks with Horovitz in 2010, he kissed her fully on the lips while in front of an audience and Scot Whitney. Horovitz didn’t return calls for comment on the allegations. Harlequin kept producing Horovitz’s plays and bringing him to the Olympia playhouse to help with productions or for opening nights, even after the alleged incident with Parker was reported to the Whitneys. From 2009 to 2014, Horovitz came to three dress rehearsals and at least five opening nights for six of his plays performed by Harlequin Productions, Scot Whitney said. Jeffrey Trinin, a board member since 2009, said he didn’t know about the sexual-harassment allegations until he read The Seattle Times story. The Whitneys discussed the allegations Friday with the board’s executive committee, which launched an investigation and hired media consultant Lee Keller. On Monday, Keller said Scot Whitney didn’t want to comment on the investigation. Cushman, the theater’s board president and an attorney, urged anyone who may have information on sexual-harassment allegations at the theater to contact him at ben@deschuteslawgroup.com. Board members will discuss the theater directors’ conduct during their regularly scheduled meeting Wednesday and then set a special session within the next two weeks to discuss and vote on what actions it will take, he said. None of the board’s meetings are public. Cushman was flabbergasted by Whitney’s comments. The Whitneys stated on the Harlequin Productions website that they won’t be inviting Horovitz to the theater again and they are reviewing their policies. Christine Willmsen: cwillmsen@seattletimes.com or 206-464-3261. On Twitter @christinesea. Seattle Times news researcher Miyoko Wolf contributed to this story.